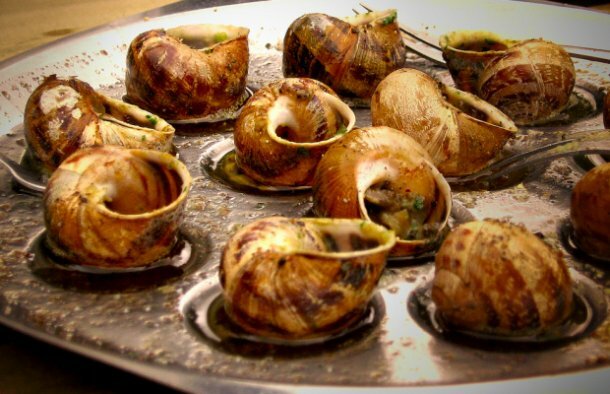 Many people love this Portuguese snails (caracois) recipe, the broth is also great to mop up with some crusty bread. 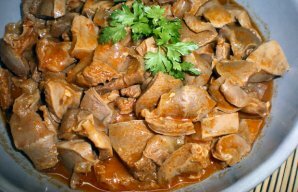 2 lb of snails1/4 cup of white wine2 table spoons of olive oilDry oregano (to taste)Salt and black pepper (to taste)1 onion3 garlic cloves2 bay leaves3 tea spoons of Tabasco sauce or Piri-Piri sauce. If buying a bucket of imported frozen snails, these slimy suckers will likely have to been cleaned, but if buying them fresh like most people in Portugal do in markets throughout the warmer months (the city of Setubal is known for its caracois) or in many cases pick them right off grassy fields on a foggy day when the slugs tend to come out, the cleaning process is really the most tedious part. It requires submerging the snails (kind of brutal, I know, but there’s no other way) in a bucket filled with room temperature water, salt and vinegar. You do this until there is no more snot or the least amount possible. Add white wine and after a minute or so, add the snails and just enough water to cover the snails and add salt (if using frozen snails, cook in the water in which it was packaged and add more if needed). Let boil and then cook on low heat for 20 to 30 minutes. Add the black pepper and serve with plenty of napkins and tooth picks. 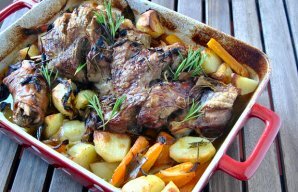 Not only is this Portuguese rosemary roasted turkey recipe delicious, it will smell amazing as well. 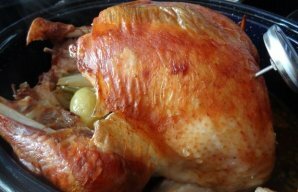 Learn how to make Portuguese style roast turkey.